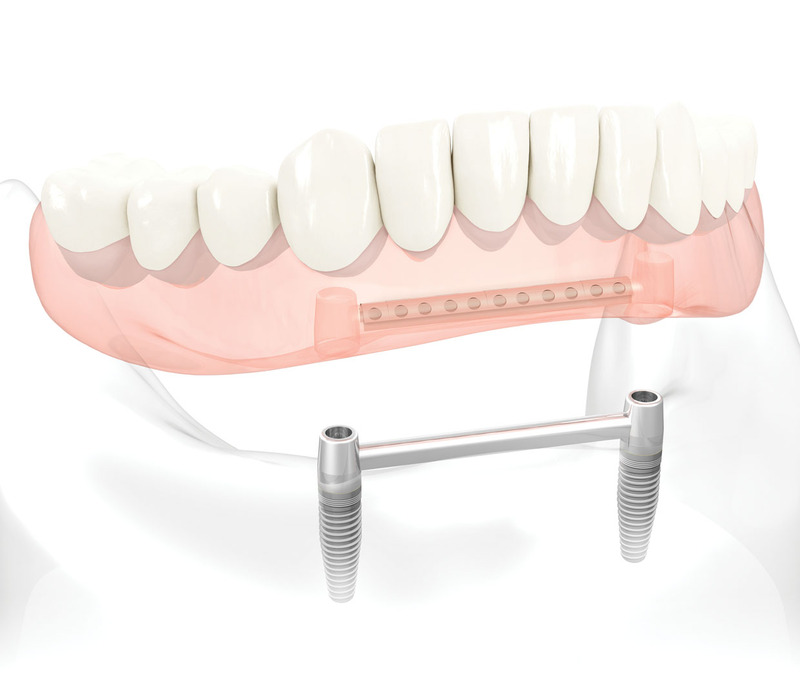 Implant-supported dentures offer many life-changing advantages over the traditional dentures. Traditional dentures can be uncomfortable, can become loose and affect your speech. They can also spoil your enjoyment of eating – affecting both your options and the taste of food. 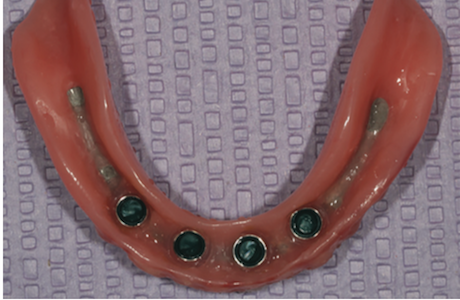 Implant-supported dentures, are much easier to wear. They are firmly held in place by implants, so you can laugh, eat and speak with confidence. They are easily removed for cleaning. 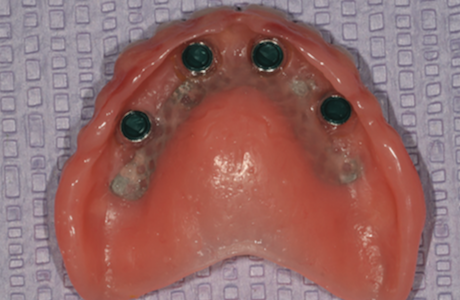 The dentures can be attached to implants using locator, ball or bar attachments. In the majority of cases we use locator attachments. Implant retained overdentures using locator implant attachments help to overcome the problems that face many denture wearers. 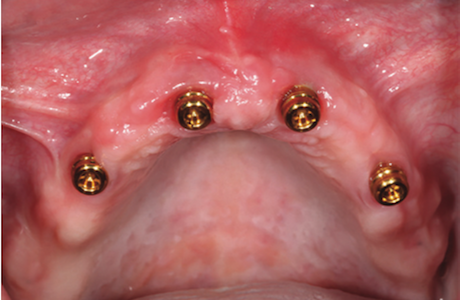 They are also really simple for patients to securely fit their teeth into place. The denture will click tightly on to the implants and gives patients the security and confidence to smile, talk and eat. 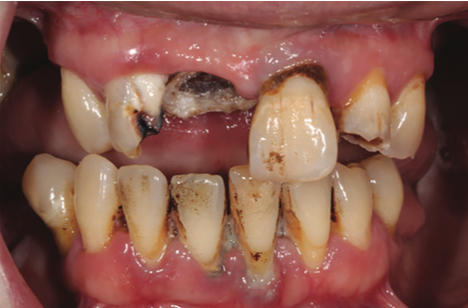 Gone are messy adhesives and pastes used to hold dentures into place. Using implants and overdentures also helps to preserve jaw bone and maintains the contours of the face, reducing wrinkles that can make patients look old beyond their years. This first stage of treatment is the placement of the dental implants, during which time either existing or temporary dentures are worn. 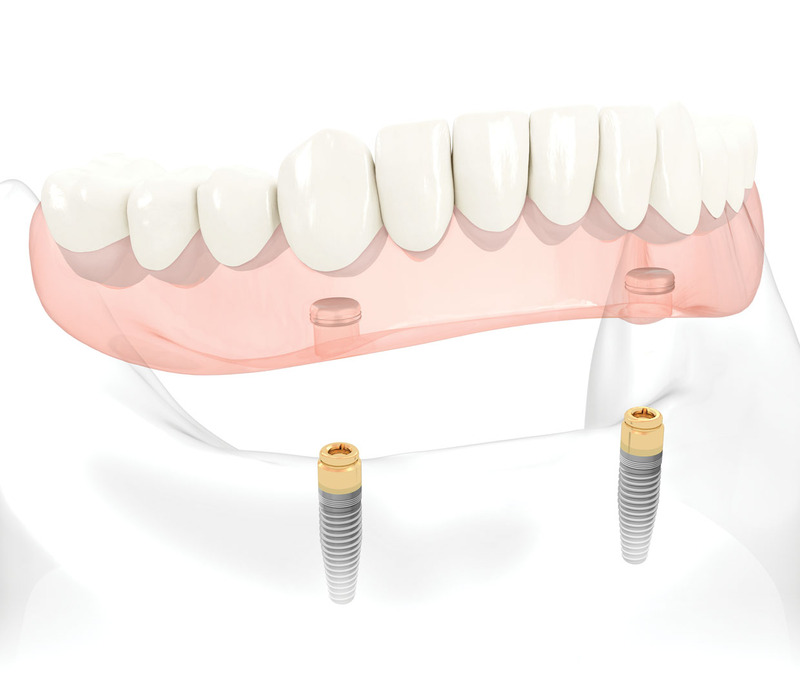 Dental implants are, in effect, titanium roots placed directly into the bone of the jaw to support replacement teeth. The average size implant is 4.0mm in diameter and 10mm in length. Implant placement is a surgical procedure that involves raising the gum and lightly drilling the bone. Once the procedure is complete there is little or no discomfort. 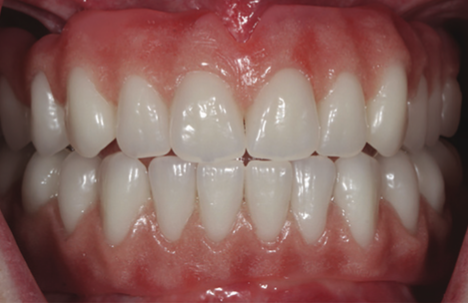 A period of 8-12 weeks is left before impressions are taken for the final overdenture. This is to allow the bone to fuse with the implant, a process known as osseointegration. 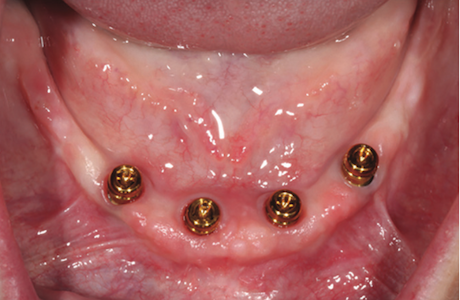 The fitting surface of the overdentures have recesses into which the implant locators fit. This enables us to provide dentures that are really tight, giving security and confidence for everyday life. We would typically place four implants in the upper jaw and between two and four implants in the lower jaw to provide dentures that are much more comfortable and healthier than the conventional alternatives. There is an alternative to the implant-supported denture which offers even better funcationality and appearance – Same Day Fixed Teeth. This is a row of teeth, very similar to a denture but without the gum-like material around it, and they are permanent rather than removable. We will advise you if these might be more suitable for you. Implant-supported dentures also have the advantage that they help to maintain your bone structure and facial contours, which means you won’t get the same “sucked-in” look that is often associated with denture wearers. For more information on implant retained dentures, call our practice in Warwick on 01926 491029 or book a consultation.